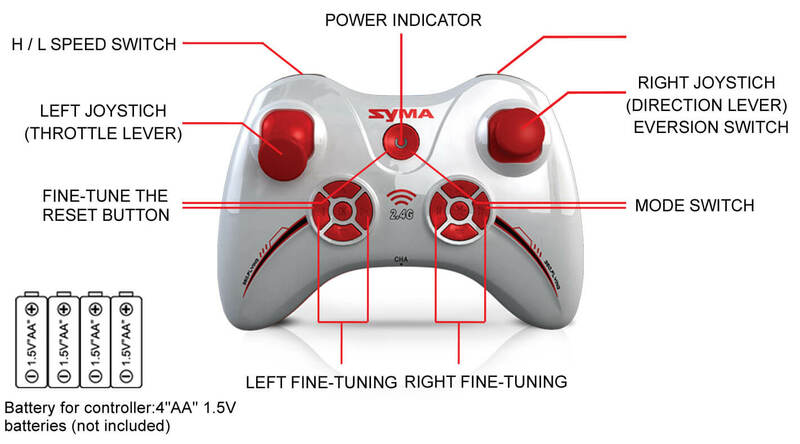 Syma is a brand well known for producing Quadcopters that are perfect for beginners. They have been producing high-quality drones for many years. A major problem for beginners in the drone world is that they lack the ability to fly them correctly. This means that drones barely last for a few days and then end up in pieces. This is where the Syma X11 stand apart from all the other drones available. 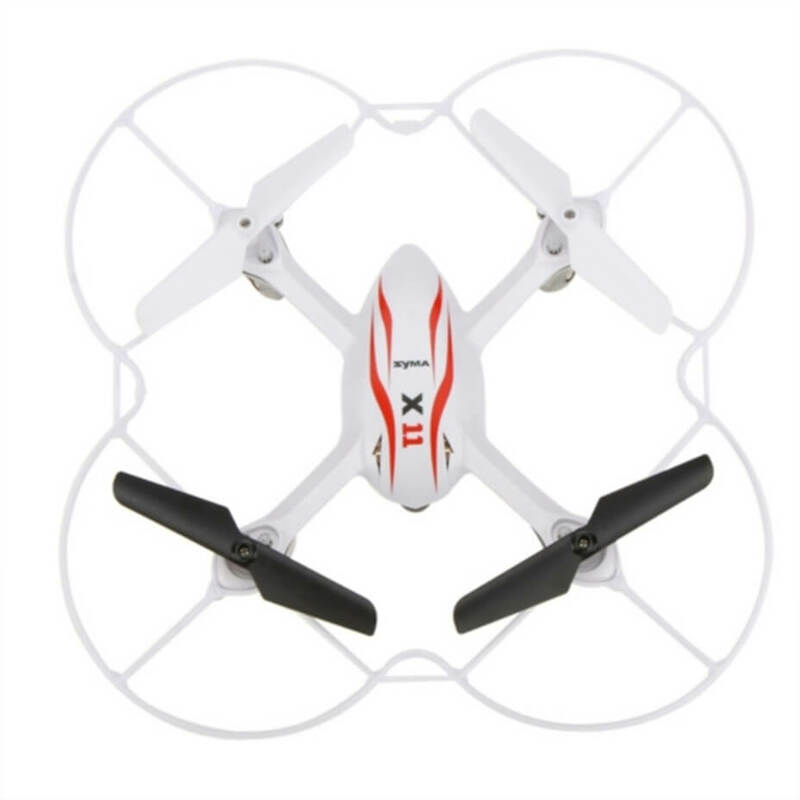 The Syma X11 is a quadcopter that is a great example of a high-quality drone in its price range. The remote controls are quite sensitive and make for a very immersive experience of flying. What’s more is that it is great for amateur users as well. The copter supports a low mode that is perfectly suited for indoor usage and a high mode that is just perfect for flying outside. The range is highly important to be considered as most people buy drones to ensure that they work at an ample distance at least. The drone has a functional range of about 100 feet, but it fly’s further without any issues. This means that you can believe its range to be around 110 feet or even more than that. However, as the range increases, the drone will not automatically fall. You will slowly lose its control. The Syma X11 is a symbol of quality at its best. As a drone targeted towards beginners, it must be durable and should be able to take quite a few hits. It survives after hitting trees and walls and ceilings. It survived multiple hits and even lived through a rough spell in a swimming pool. This means that you can easily use it for long periods of time and maintains great quality. The Syma X11 features a plastic outer surface that allows it to take a few hits without any real damage. High-quality plastic ensures that it is most suited with the camera and does not increase the weight of the product unnecessarily. Plastic also tends to be shock absorbent in some ways, so if your drone falls down, the main mechanism is not hurt. The prop guard is further important and makes the drone sturdy and flexible. The rubbery quality of the prop guards gives them deformability. It helps by absorbing the fall and breaks impact and guards the main system inside as well. Even the remote control is durably built so that it doesn’t break on very small hits. The plastic outer is made with the best quality. The buttons are simple and easy to work with so that you do not have to waste any time in redirecting your drone. An addition to its durability is the blade protecting design the machine has come up with. The high-end elastic protector allows the blades to remain safe when using or storing the item. The blade protector also helps in enhancing functions of anti-drop and anti-collision. The drone is powered by a 200mAH battery. The battery is Li-Po. This means that you can easily change them or swap them out for another pair whenever you want. One of the best things about these is that you can use rechargeable batteries and save a lot of money. You can also be ready all the time with a couple of extra sets of batteries. This means that you can enjoy your flight time for as long as you want, as long as you have a few sets of batteries, the flying never had to stop. The battery requires a charging time of about 30-45 minutes and gives a great time in the air. When in low mode, the battery easily lasts for up to 6-8 minutes and flying the drone in high mode only reduces flight time by about a minute. You can even replace the battery to get one that gives you additional flight time on each battery, for example, a 380 mAH battery. Read full Syma x11 instruction manual. 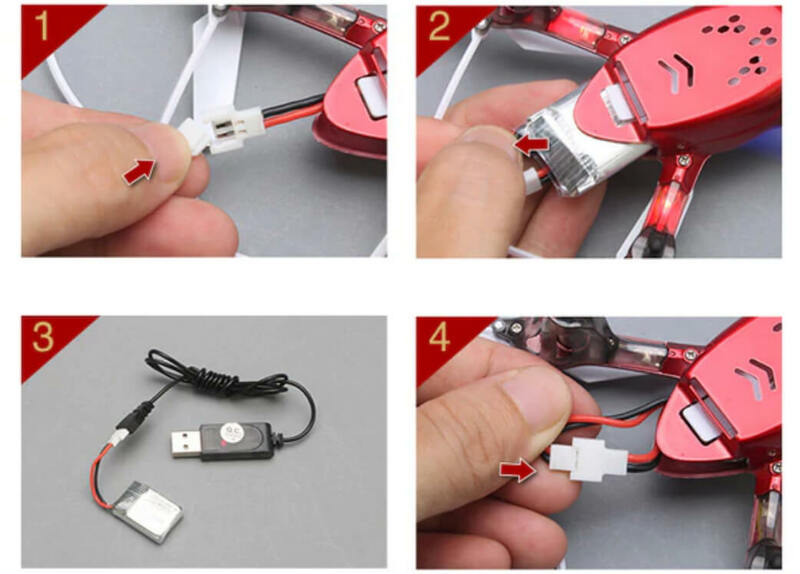 However, we highly suggest that you do not run the drone on low battery for any purpose other than bringing it back to you because it may suddenly lose power and fall and be damaged. The remote control that comes with the Syma X11 is quite similar to a typical X-box controller. It gives you all the basic controls without an overly complicated design. The remote controllers D-pads and Joysticks make for a very flight and provide you with complete control. This remote control will feel perfectly comfortable in your hands especially if you are an avid gamer and are used to a remote control. The remote control uses the Spread spectrum technology which helps in providing the best anti-interference ability. It also helps in using up the least power and it reacts faster than other designs. The remote control works easily with four AA batteries that can be replaced easily by disposable or rechargeable batteries. You will not find these batteries to be in the packed set. It is also highly recommended that when you are not using the remote, you should take out the batteries to keep the remote safe. Overall, the Syma X11 is a great find, especially for someone thinking of taking their first step into the copter world. 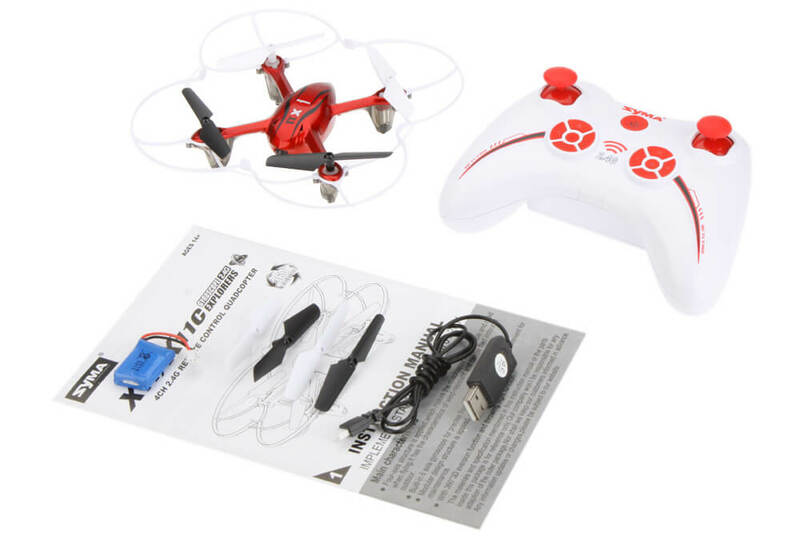 The Drone is highly durable with a great and easy user interface. What’s more is that it can easily last for long periods of time and doesn’t shatter pieces with a few measly hits. Collisions are a part of learning how to fly and no one understands this better than the Syma X11. 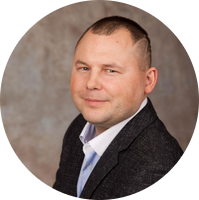 We will help You to become a better quadcopter pilot. We’re talking about drones alias Remote Control Quadcopters. Detailed reviews and buying guides. Learn how to fly a drone and how to start your own drone business.